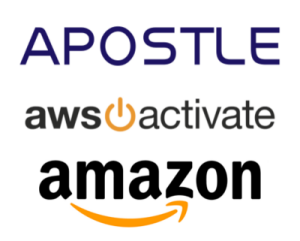 SUNNYVALE, CA, August 28, 2017 – Apostle Inc is selected into the Amazon Web Service (AWS) Activate Program. The AWS Activate Portfolio Package received by Apostle includes a one-year AWS Gold Premium Support and a two-year AWS usage credit. The AWS Activate Program is designed for startups in select accelerators, incubators, Seed/VC Funds, and other startup-enabling organizations. Some of the world’s hottest startups, including Airbnb, Slack, and Robinhood, have leveraged the power of AWS to quickly scale.